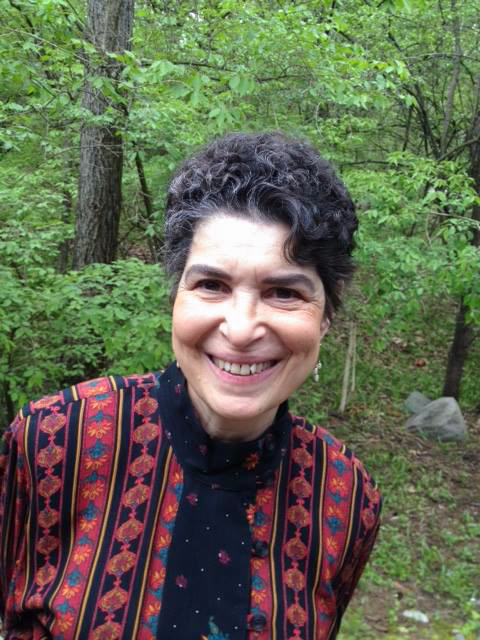 Editor's Note: Dr. Nirmala Hanke's essay on retirement and conscious living, "Every Day a New Adventure," appears in our current print issue. You can also check it out online here. Retirement is an adventure every day, yes. Some days, however, are more surprising than others. Take the Sunday afternoon a couple months ago, March 16th: I was with a friend watching Nebraska at the State Theater. Meanwhile, unbeknownst to me, my water heater burst and flooded the basement. My sister kept making frantic calls to me, which I did not hear, as the cell was turned off for the movie. When I eventually got the messages and called her back, she had been able to turn off the water heater, talked through on the phone by a guy from Hutzel’s plumbing. But there was standing water throughout the basement. Now, though the basement is finished, with carpeting, drop ceilings, florescent lighting and such, it has mainly been a place to store the endless books, Christmas decorations, baby furniture, kid stuff, and memorabilia of the last 25 years. The “Basement” has been in the “Parking Lot” on my retirement “List,”and I truly intended to get around to sorting through, recycling, reorganizing, and discarding its contents some day, say in the next year, or two, or three. Now, thanks to the exploded water heater, that day was now. So, How to Go with the Flow of a Flooded Basement? First things first, it had to be dried out. The Hutzel guy gave us the name of a company 1-800-WATER DAMAGE. I kid you not. So first thing Monday morning I gave them a call; within the hour they were on the scene, ready to move all the dry stuff to higher ground (the living room, kitchen table, hallway, bedrooms), throw out all the wet stuff that was not salvageable, sequester all furniture into the small section of the basement where the carpet was still dry, remove all the baseboards and drill holes in the wood, to facilitate drying. This took them all day. Then they set up half a dozen heavy duty super loud fans to dry everything out. This took all week. My sister and I waited, mostly patiently, for everything to dry out, the fans droning on 24/7, like some jet airliner stuck overhead. And a dank musty odor drifted up from the basement. In the meantime, there were lots of other details to attend to. Calls and paperwork with the insurance company, getting a new water heater, trying to find the cat’s litter boxes, and the supply of toilet paper. You get the picture. How to manage this sudden influx of chaos into my heretofore orderly “go with the flow” retirement, which, after six months, I had settled into quite comfortably. By the end of day one I had decided that the basement was NOT going to take over my new life; there is more to life, after all, than a flooded basement. I decided then and there that I was going to take the basement slow and easy, a step at a time, and not let it overwhelm me. Conflicting opinions and numbers from the insurance adjustor and the contractor who would put the place back together, different takes on whether the old water heater was defective or not, beginning to dry out books, for which there would need to be photos taken and forms filled out to get reimbursed, (Oh, there’s Frog and Toad, one of my kids’ favorites! ), trying to decide whether to keep the old carpet, get a new one or just go with throw rugs. Unending decisions, it seemed, calling out to be made. One step at a time, I kept telling myself. And besides, what’s the rush? One of the benefits of retirement, is that there are fewer external pressures, schedules, and deadlines to contend with. Any pressure comes mainly from the inside. So why couldn’t the basement chaos just become another part of the general go with the flow scheme of things? The basement problem, I vowed, would be no problem. It would just become a new part of my daily experience. Clearing out the basement turned out to be easier than I thought, thanks to a young type -B guy who was assigned to clear it out with me. Artsy and into sci-fi, he was amiable and chatty and had no idea what to do next. So he easily fell into my good type-A telling him what to do! He was as excited as I was to find a box of my high school memorabilia of Japan, and was more than willing to lift umpteen heavy boxes and take them upstairs for me. All told, it only took four hours, though it seemed like midnight, not noon, by the time we were done. I noticed that afternoon that my usual go-with-the-flow sense had been disrupted by the four hours in the basement, making all the moment-to-moment decisions about what to do next, what to keep, what to throw away, what to recycle. My mind was scrambled. It took me a couple hours to get back to a sense of inner quiet and openness. It was quite startling to have lost that sense. And when I think of how I used to function, not so long ago, before retirement, in the fast lane all the time (except when meditating, doing yoga or sleeping), there was a lot of inner and outer pressure to get things done, meet the next deadline. Even then I was trying to go with the flow of that, but a much different, rather choppy, rushed, unnatural flow, not really a flow at all, more a frenetic never-ending marathon. I am quite glad to be done with that. Going with the flow of the basement is a piece of cake in comparison. Now that the basement is cleared out, you may think that all is well, that I am all but done with the basement project. Well, actually the basement has just moved to the living room, 25 years of accumulation that we can barely walk around. The old basement has lots of room, which will eventually be repopulated by whatever manages to pass inspection up in the new basement/living room staging area: boxes of taxes and other important papers to shred, dating back to the 60s (ay-yay-yay), more stuff to go to Easter Seals, boxes and boxes of books to go to the library, boxes of now-dry-but-previously-flooded books to price and inventory for possible replacement by insurance. Whatever’s left will go back downstairs eventually. Aside from the drudgery and humor of the basement project, what does it all mean? Why now? And why not now? This is all of course, symbolic of my life, our lives: living with, contending with, eventually coming face to face with all that we have acquired, buried, stored, treasured, left behind in our basements, in our lives. “As without, so within,” they say; we can perhaps admit that all that “stuff” in our basements is also lodged in our heads. Taking up valuable space, that could well be filled instead with new information, new ideas, new awareness of, connection with the present moment, ourselves, each other. Cleaning out the basement has the salutary effect of clearing out the mind, of all that mental stuff from the past that one no longer needs. The question of course comes down to: what do I no longer need? What can I let go of? The monks and mystics in Western and Eastern spiritual traditions answer this by living simply, with the bare essentials. They don’t need a basement. Those of us more conditioned to all the bells and whistles of material existence cannot so easily give them all up. Once again, it’s a step at a time. One day, talking with a friend, I decided I wanted to read Lawrence Durrell’s Alexandria Quartet again, and I planned to order it on Amazon, as a reward for finishing some part of the basement. Later that day, I went down to the basement in search of some root beer, and there, perched right next to the root beer sat my 30-year-old copy of the Quartet! I started reading it right away, taking this as a sign that I was due for a reward already. Now, whenever I go through basement stuff, I go with an eye for some hidden treasure to reveal itself amidst the rubble. And when I discover that next hidden treasure, where might it lead me? Something from the past that I’d forgotten I even had, like Quartet, could lead me in a new direction. Now this is one of those New Age, age-old ideas about paying attention to the world around us, and taking our cues from what we hear. A part of going with the flow that I have been aware of, from time to time, but have not appreciated all that much. Now, with the basement, I am learning to be a better listener, and I am grateful for all the surprising synchronicity that occurs. There’s Alexandria Quartet, of course. Another example: once the basement was cleared out, and the guys took all the stuff to be recycled, I thought I could breathe a little easier, with a little more space in my living room. Within an hour though they had returned to say that the recycle place wouldn’t take anything, they were full up. What?! Ok, so I thought we could just put everything back in the basement. No they didn’t want to do that. Then I remembered the Easter Seals pickup card that had come in the mail a few days earlier. They’d be by in a week! So we hauled everything back into the living room for the time being. Thank goodness for Easter Seals, thank you universe. This is true not only for cows, sheep, and people, but also for all the material things we become so attached to. All the things in our physical and metaphorical basements. Suzuki here is talking about the purpose and process of meditation, but also about our daily life, our daily struggles with trying to control everything we possibly can. Our lists, plans, schedules are all attempts to get things in order, under control, not to mention our attempts to control our weight, others’ opinions of us, others’ ideas and actions, and so on. We even have the collective illusion that we can somehow predict and so exert some sort of control over the weather. All of these attempts at control are doomed to fail. Instead, by putting “everything under control in its widest sense,” we begin to flow with Divine Order, God’s Order. Letting go control of the basement is a good place to practice letting go, going with the flow. How do we learn to live with chaos? Many great artists have recognized chaos as an integral part of the creative process — the necessary breaking down of the known that ultimately leads to something new and unique.... Chaos happens — accidents, divorces, traumas — as well as setbacks in life, transitions, everyday interruptions, and unexpected events — even falling in love! Chaos un-tethers us; it changes everything. Life continually challenges us to grow by breaking things apart. Yet, if we understand that this is a necessary part of the creative process, we can harvest something positive from what is at first experienced as disjointed. When we learn to respect and invite the fragmentation or “falling apart,” we begin to allow something new to emerge. The chaos of the flooded basement, in other words, is an opportunity to break free from the past, release it, let it go, to make room for “something new to emerge.” Can’t wait! What will it be? If you are looking for a creative outlet, try checking out your basement. Who knows what treasures you might discover there, what freedom, new directions, you might find. Nirmala Hanke is a practicing psychiatrist and psychotherapist, and recently retired medical director at Monroe Community Mental Health Authority. She has a private practice in Whitmore Lake for psychiatry, meditative psychotherapy, and Reiki healing. She has been meditating the last 30-odd years, first in the Zen tradition, and the last 20 years in the Jain mantra tradition. She teaches introductory and advanced meditation classes at the Lighthouse Center based upon Chitrabhanuji’s Jaina teachings, including The Psychology of Enlightenment: Meditations on the Seven Energy Centers. For more information on the Lighthouse Center, see lighthousecenterinc.org. Posted on May 22, 2014 by Nirmala Hanke and filed under Spirituality and tagged Nirmala Hanke.